In the morning, I will be at a Digital Forensics conference at the University of Padova, organized by our friends at Securcube with the Engineers Association. The topics of the conference will be a melting pot between digital forensics, cell phone traffic analysis and videosurveillance. As all these disciplines are coming together in the digital world, interdisciplinary conferences like this are very important. If you want to learn more about this event or register, you can check out the link on Eventbrite. 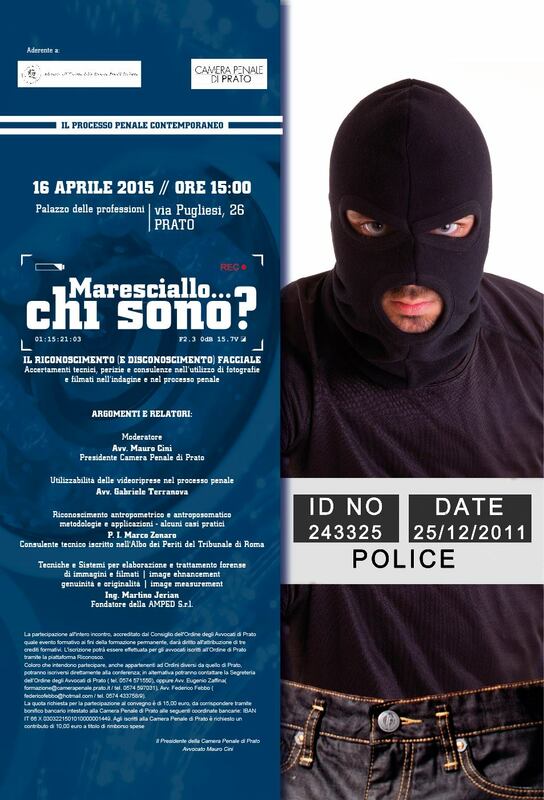 The second event, organized by our friend and forensic expert Marco Zonaro with the penal attorney association, will be in Prato and will be more specific on the topic of forensic image processing and face identification from pictures and videos. To learn more about the event you can check out the flyer below.